Kiefer Sutherland is ready to show the music world how it’s done. On Friday (March 8), the actor and musician shared the latest single, “This Is How It’s Done,” from his forthcoming sophomore album, Reckless & Me, due out April 26 through BMG. The black-and-white video for the country-rock track shows Sutherland and his crew in full rock star mode, performing passionately for fans and giving a peek into life on the road. Watch below. Produced by Jude Cole, Reckless & Me is the follow-up to Sutherland’s 2016 debut, Down in a Hole. The set debuted at No. 18 on the Americana/Folk Albums chart and No. 35 on Top Country Albums. U.S. tour dates will be announced soon. Sutherland, 52, is known widely for portraying Jack Bauer on Fox’s hit TV series 24. His extensive filmography also includes key roles in Stand by Me (1986), The Lost Boys (1987), Flatliners (1990), A Few Good Men (1992), The Vanishing (1993), Dark City (1998) and Phone Booth (2002). Check out the Reckless & Me track list below. Designated Survivor Season 3 – Netflix Info! Netflix has officially extended and completed the third run of Designated Survivor. 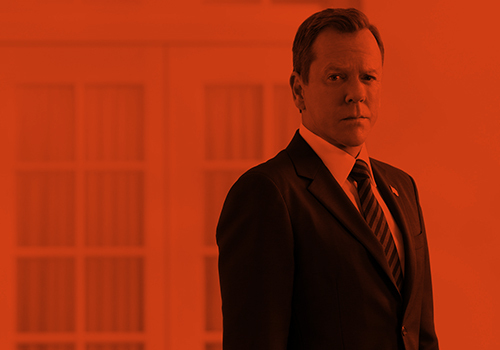 After the popular TV and film streaming franchise took over from the ABC network, actor Kiefer Sutherland will continue to be at the helm as US President Tom Kirkman. The upcoming 10-part episode season has just been concluded around the middle of February 2019 in Toronto. Judging from the four million weekly views the show garnered during season two, the excitement is on as to how it will sustain the volatile handling of a terrorist-intruded political drama. Although the average ratings had been down after season one, Sutherland has been optimistic and confident that a third stretch under the limelight is in tow following an interview with Digital Spy in April last year. With that in mind, season three is finally underway and ready to go. Coming back for another run are Kal Penn, Maggie Q and Adan Canto as Seth Wright, Hannah Wells, and Aaron Shore, respectively. Italia Ricci will also continue playing Emily Rhodes. Meanwhile, noteworthy additions from last season Zoe McLellan and Paolo Constanzo will also be back. Of course, Natascha McElhonne, who portrayed First Lady Alex Kirkman, will no longer be on phase three after being killed last season. However, there are a couple of interesting characters to build on from the second stretch. First, Sutherland gets reunited with 24 co-star Kim Raver who assumed the entrepreneur role for Andrea Frost. However, there is no guarantee if the plot surrounding her will be sustained into the new season. Still, it will be quite interesting how the relationship with Kirkman will play out. Second, the Emily Rhodes character is worth following. Her abrupt decision to severe ties with the administration during the second season can turn out to be a nail-biter judging from a captured secret data exchange between her and a Russian spy named Valeria. Overall, season three of the Designated Survivor will revolve around a political minefield where sustaining the President’s works and stature become the main focus and concern. There is more character building here considering the circumstances which Tom Kirkman had undergone in parts one and two. Netflix has pointed out that maneuverings or machinations in the bureaucratic state will spell the Presidency of Kiefer Sutherland. Pretty much, the realities of political campaigns will be tackled and delved into. Taking a cue on what actor Kal Penn has noted, there is a tense tone heading into the down-the-wire scenes of the new season Designated Survivor. Just wanted to say that finally everything is moved over to our new server! If you see any errors, please let me know! Hey guys! So sorry for the lack of updates, but life’s been crazy busy for me! Well, I’ve just updated the gallery with some episode stills from season 2 of Designated Survivor and I hope to add more over the next coming week. Hope y’all enjoy!